I Appeared for UP-SEE MBA P.G. i cleared my exam with an 77 percentile. UP-SEE entrance examination is conducted by Government of Uttar Pradesh for admission to its MBA (full time). the entrance exam including Verbal Ability (English), Quantitative Ability (Mathematics), Logical Reasoning (LR) and Data Interpretation (DI) skills. the course is for two yeas and constitutes of four semesters. 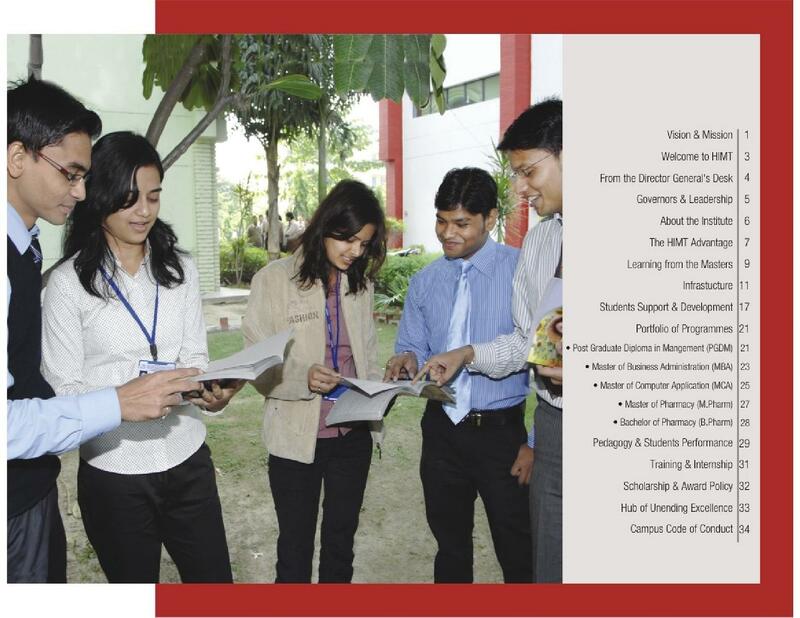 th aim of the course is To continuously strive for excellence of global standards in teaching and research activities. 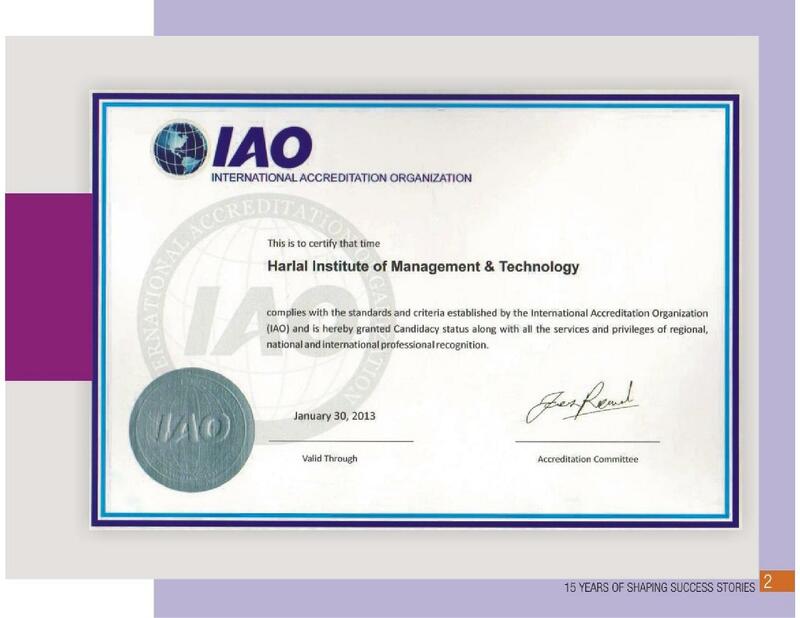 Thus HIMT has provided me and faculty members the facility of Research & Development to grow their full potential. MAT, 86 %. I have checked the reviews of the college. It was good there were some gold medalist from this college then I have chosen this college. HIMT College of Pharmacy is one of the leading institutes of Noida, was established in the year 1998 by the formers of the Shanti Educational Society. 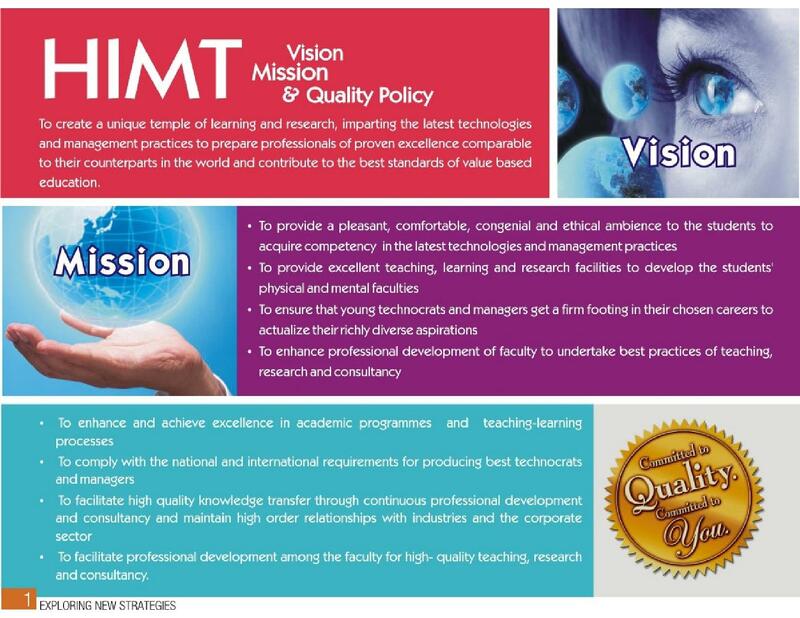 HIMT aims their students to achieve their best also its vision is to let the students to contribute a lot to their nation. The College is located at a very calm, green and clean place. The college offers Pharmacy courses in undergraduate and postgraduate level. It is a self a finance Institution established through an act of State Legislature of Uttar Pradesh. The college is approved by AICTE and is affiliated to Uttar Pradesh Technical University, Lucknow. The college is located at greater Noida near Gautama Buddha Nagar which can be easily reachable. 30+ Journals of which five are international Journals. 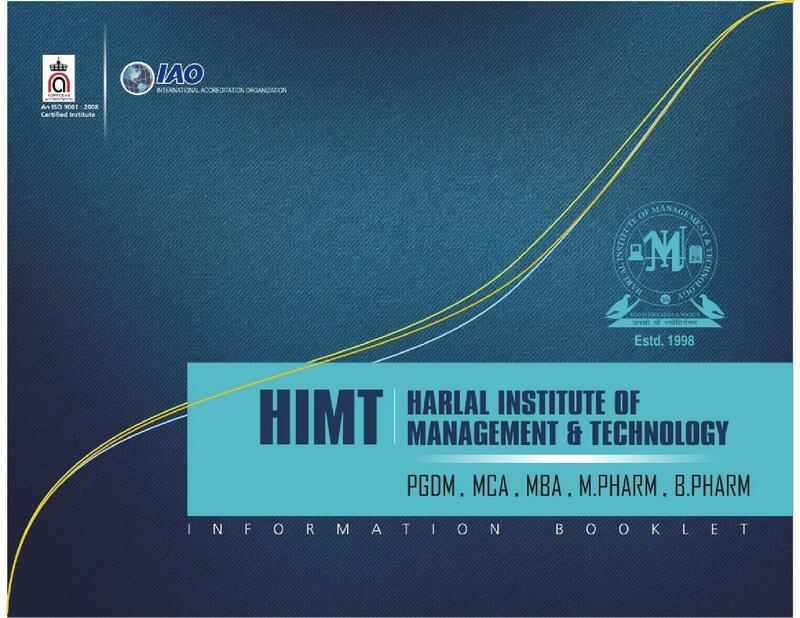 Why to choose HIMT College of Pharmacy? Focus on Research and Development: The college provides various research and development courses, like summer training, winter trainings etc. which trainees the student not only for academics also for various future programs. Highest student scores in University Examination: The college provides expert help from dedicated professionals who have their degrees from the top most Indian or foreign countries. Various prizes from top organisations: The college is titled as "Top Management Institute with Industry Oriented Curriculum" by Shri Sriprakash Jaiswal, Hon'ble Union Minister of State for Home Affairs, Govt. of India. 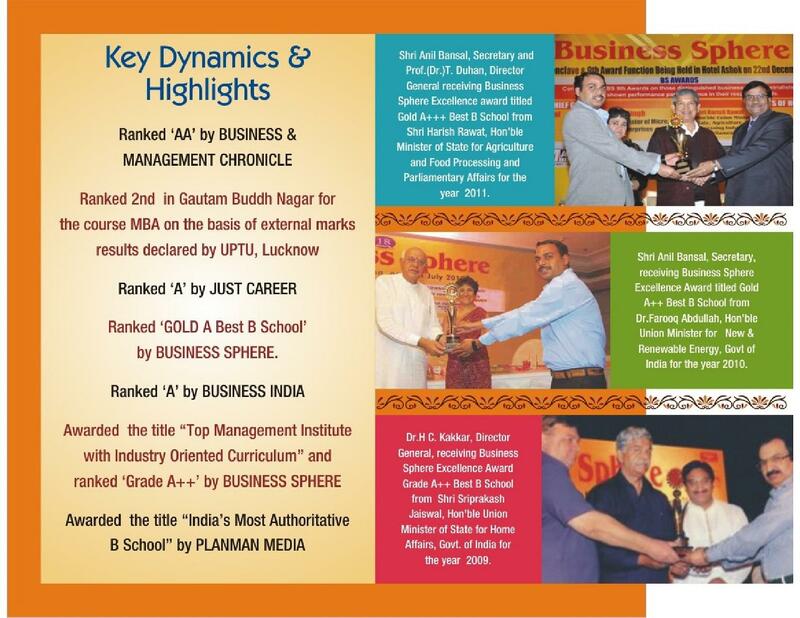 Also the college is ranked as GOLD A++ +category B School by Business Spheres.